Found 4 file extension associations related to UFile and 4 file formats developed specifically for use with UFile. 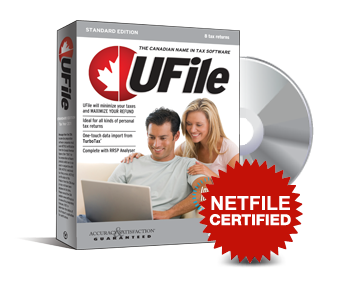 Why do hundreds of thousands of Canadians file their tax returns with UFile every year? The answer is trust -- Trust in UFile’s ability to provide the best possible results with ease. UFile has more than a decade of experience serving Canadian taxpayers. Dr Tax Software, developer of UFile has been producing professional tax software for more than 22 years. The tax engine found in UFile is the same one used in Dr Tax’s professional tax product for personal returns. If you need more information please contact the developers of UFile (Thomson Reuters), or check out their product website.